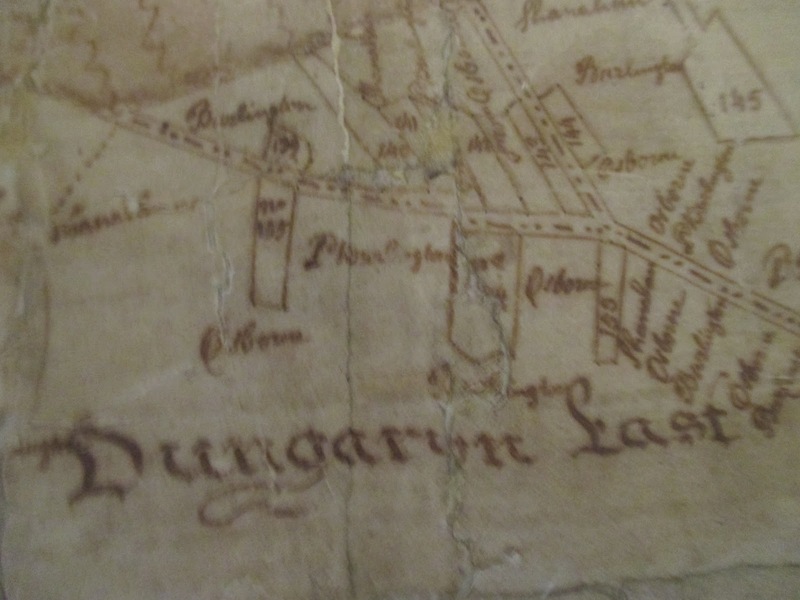 The map which has recently been restored to mark the granting of a charter to Dungarvan by King John in 1215 is the first detailed map of the town to survive. For this reason it is an important historical document which will be a lasting memorial of the 800 celebration. The map was made by Charles Frizell and his son Charles Frizell Junior. The Frizell's were a family of leading map-makers in 18th century Ireland. Charles Frizell Snr. came from Co Wexford and his sons Charles and Richard followed their's father's profession as surveyors and map makers. To the right, the image shows a very small section of the map. If you are passing the Museum at any time and would like to view the map in its entirety you would be very welcome. Admission is free. 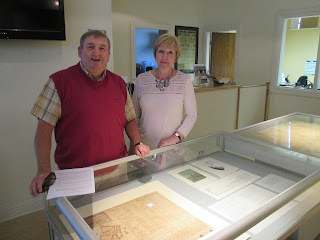 Bob Frizelle and his wife Karen visited the Museum to view the restored map. Bob is a descendant of the map-maker Charles Frizell.